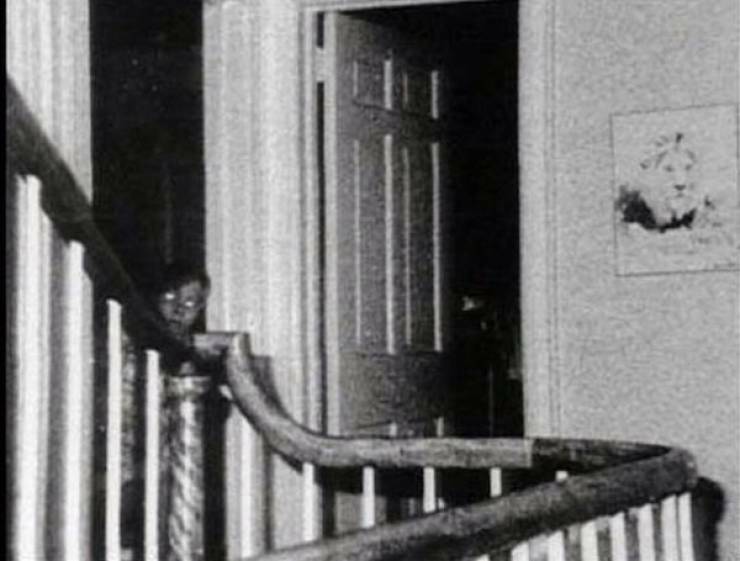 This photo from Amityville has always creeped me out. It was taken during the investigation of the house by paranormal investigators Ed and Lorraine Warren. I believe that this is one of the few pieces of evidence that the house was not normal. Edit: During the investigation, there was allegedly no children in the house and the only people were the Warrens and a reporter. The little boy is not suppose to be there.